By now, most people will agree that social marketing is a powerful form of advertising and a large majority of businesses have a social presence on the largest and most popular sites. These of course, include Facebook, Twitter, Pinterest and so on. However, what about those social media sites that you’ve not heard of? Niche social networks that deal with just one subject, such as fishing or basket weaving? Finding and targeting users of these sites could be that little extra boost that your marketing needs. A good example of a niche social networking site is Goodreads, which has 14m members to date and is growing all the time. Obviously if you’re a purveyor of books, then this is a great site for you to join in order to talk about all things books and give recommendations, with a little promotion thrown in for good measure. However, probably the best use of the site is for authors. We’ve all heard the rumours that print books will eventually die out and for the book lovers among us, it’s a sad tale. However, Goodreads encourages authors to promote themselves on the site and alongside services such as Kindle publishing, is swiftly steering authors away from the rocky road of finding an agent and publisher and then worrying about tiny returns. People love to discuss books and that is why Goodreads is so successful, or at least one reason why. However, there are plenty of other things that we like to talk about and Goodreads is far from the only niche social network out there. Of course, there’s Foursquare, which could be described as a niche site that caters to local businesses, as well as consumers. The premise is simple, just type in what you’re looking for in the search box – for example, ‘restaurants in London’ and you will get a list of eateries in that area. Further to this, search for Foursquare ‘specials’ and check-in at that location and you can get access to special offers set up between the business and the site. This is ideal for promoting your business locally and any business that relies on local trade should most definitely be using Foursquare in their marketing campaign. Social network designed solely for beer? Untappd is ideal if you sell beer, especially special beers that are outside of the norm. Basically, the site works via a mobile app where consumers can check in and receive recommendations on the beer that they should choose at that establishment. The site offers breweries the chance to sign up and be noticed, as well as showing people what their friends are drinking, so that they can enjoy it too. Not only can businesses analyse market trends and measure how their brand is doing against others, they can start a conversation with customers about it. Anyone who has been stuck in the house with young children will know that at times, adult company is needed before you go entirely insane. Cafemom is designed to help parents do just that. Cafemoms is an online community for mums (fairly obviously) and this is such a huge market that if you’re in the industry at all, then you’d be mad not to consider this a marketing opportunity. There are group discussions, a mobile app, the opportunity to upload photos and much more, so if you’re in the parenting/baby industry, this could be the ideal site for you to concentrate your advertising. Of course these are just a few examples of the niche sites out there and I couldn’t possibly cover them all in one blog. However, it does raise the idea that if you’re marketing, then you should be looking at sites that sit in your niche and how you can make the most of them. Going social this year? 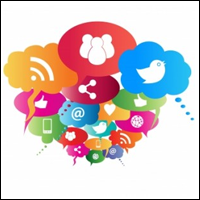 Get in touch with one of our social media marketing experts to learn more about social media and digital marketing.